In 2018, many of the major organic retailers in the United States were all mainstream organic grocery stores, and that hasn't changed much over the years. Traditional grocers are still pulling in the lion's share of organic profits over smaller natural food stores and specialty grocers, such as Trader Joe's. What has changed this year is that organic sales, consumer interest in organics and organic grocery retail offerings have all grown. According to the Organic Trade Association, 2017 U.S. organic sales, including organic food and non-food products, totaled $49.4 billion. That was a 6.4% increase from the previous year. There's very little research regarding organic sales at mainstream grocers. Past research does show that organic food is the largest selling sector of the industry and that most organic food is sold at mainstream grocers. Based on this research, we've gathered grocers who sell a fair to a large amount of organics and who are also experiencing decent profits and growth for their size. However, without more research, there are no absolute certainties about who the largest organic retailers are. Retail units: More than 11,200 retail units under 55 different banners in 27 countries. Sales: Walmart had revenues for the fiscal year 2017 of $500 billion. Amount of Organic Products: In 2006, some Walmart stores offered as many as 400 organic products. As the years have gone by, Walmart has increased those offerings. Currently, organic food, clothing and other organic products are available at Walmart. The bad: People continue to debate Walmart's organics. Some feel that Walmart's ability to sell organics for less undercuts local grocers and other natural food grocers. They've been accused of mislabeling conventional food products as organic and accused of sourcing low-integrity organics from factory farms. 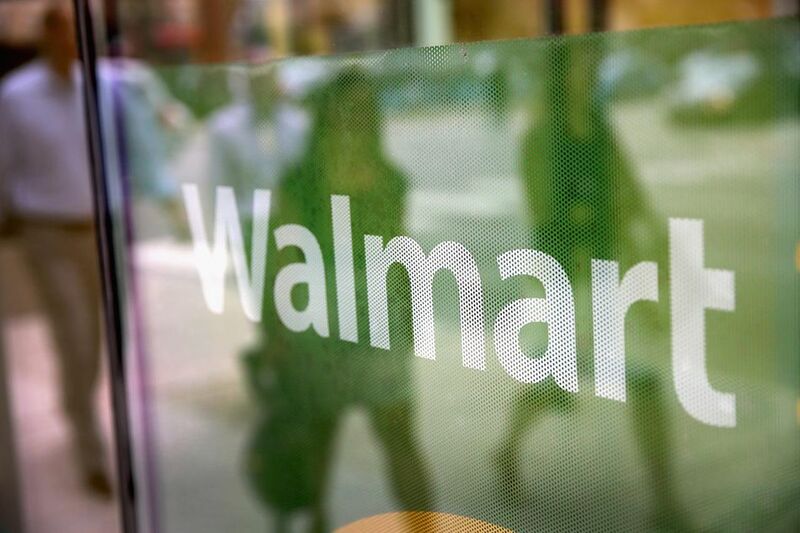 The good: Walmart has many sustainable practices in place, which of course doesn't mean they carry the best organics, but it is a perk, especially since consumers want organics and green practices. Walmart has also developed partnerships with many local organic farmers. Obviously one of the biggest perks of Walmart organics is their ability to bring organics to more people in more places. As of 2016, Global Data Retail puts Walmart's market share of the U.S. grocery market at 14.5%. With a Walmart on nearly every corner, it's easy for consumers to find the organics they want and at lower prices. Having organics at Walmart does help increase consumer knowledge about organics and supports the organic industry in general. Still, when it comes to organics, integrity is as important as availability. Thus, the Walmart organic debate will rage on. Sales: Costco Wholesale had revenues for the full year 2017 of $141.6 billion. Amount of Organic Products: Organic food offerings at Costco have grown in recent years, but like other mainstream grocers, it's hard at times for Costco to meet organic demand. The bad: Like other mainstream grocers, Costco has faced major heat for selling factory farmed organics. Also, organic selections at Costco can be hit or miss, especially where fresh organic produce is concerned. The good: Costco has an excellent sales record and a huge consumer base. Many Americans love club-style stores, so the fact that Costco carries organics opens up the organic industry to lots of new consumers. Retail Units: Kroger operates over 3,000 stores in 31 states under two dozen banners. Sales: The Kroger Co. had revenues for the fiscal year 2017 of $122.7 billion. Amount of Organic Products: Kroger offers its major in-house organic brands Simple Truth. Plus Kroger carries mainstream organics as well, such as Organic Valley and local organics are available depending on location. The bad: While they do carry a decent amount of organics, they don't carry typical organics at all times. Such as, you may or may not find organic bread or yogurt in stock. Additionally, Kroger has been accused of carrying factory farmed milk. The good: Kroger does offer a wide selection of organic products, including fairly decent produce selections. They also only sell rBST-free milk. Plus, Kroger Manufacturing operates a variety of certified organic processing facilities, which further helps support the organic industry. Retail Units: ​Today, Target operates over 1,800 stores in the U.S., Canada and India. Sales: Target Corp. had revenues for the full year 2017 of $71.9 billion. Amount of Organic Products: Target offers a number of organic products, including those under its private label brand Simply Balanced. The bad: Target, like many others on this list, have been accused of selling factory farmed, low-integrity organics. The good: Target stores have seriously increased their organic offerings over the last year, even carrying organic body care and baby products. Their organic prices are reasonable and the fact that they offer organics makes organics more visible to consumers in general. Retail Units: There are currently 1,300 Safeway stores across the U.S. Sales: Safeway Inc. had revenues for the full year 2017 of $59.9 billion. Amount of Organic Products: Safeway's organics products available in almost every aisle of their grocery store and they sell other brands of organics as well. The bad: Safeway is likely the quietest grocer on this list. They're not very controversial when it comes to organics. But the retailer has been accused of carrying factory farmed organic dairy products. Safeway has introduced some questionable, ​​offerings that may confuse consumers into buying these natural products over organics. The good: Safeway's growth in organics is growing and O Organics is considered a cost-effective alternative to other organic brands. Retail Units: Nearly 480 stores in North America and the United Kingdom. Sales: Revenue came in at $16 billion for 2017. Amount of Organic Products: No clear figures, but it's arguable that for their size, Whole Foods Market offers more organic products than anywhere else. Some estimate that Whole Foods carries thousands of organic items, including private-label organic products. The bad: Of course Whole Foods is smaller than other grocers on this list, meaning its products might not be available to everyone, especially given the higher prices. But after the buyout by Amazon, its products are being brought to the masses. The good: Whole Foods offers many organic perks such as you can walk into their store at any time and know you'll find the organic food item you need. The sheer amount of organic food items carried at Whole Foods is awesome. They also offer plenty of prepared certified organic foods in their bakeries and deli areas, while other grocers do not. Who Are the Top Organic Retailers?